Everybody loves north camp. There are some nice new cabins (9-13) and some really old historical cabins (1-4). There are also average cabins. Some people really like the old style cabins. I don't have a great picture of North camp. Anyway, North camp is quiet and serene. 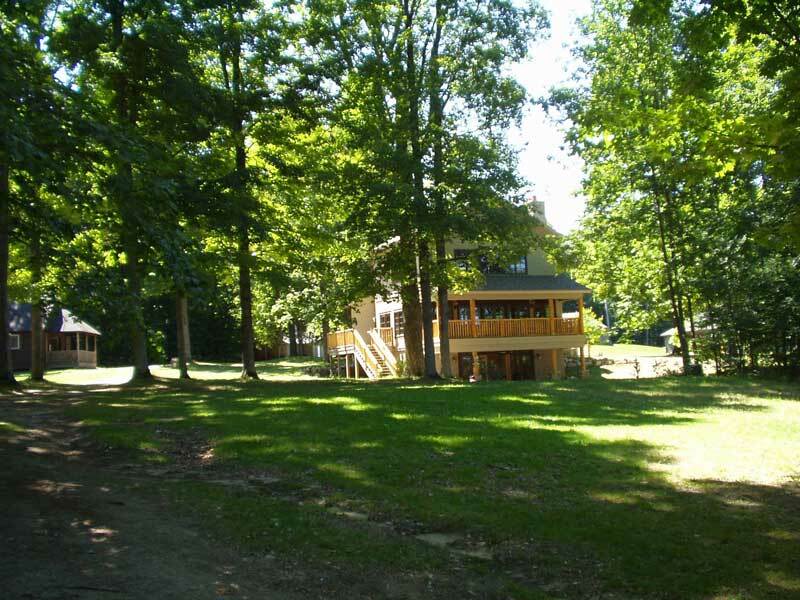 Cabins 5-8 are very near the lake. The porch of cabin 8 is quite possibly the best place on camp. There are lots of nature trails also.